Cécile McLorin Salvant at the Grammy Awards Premiere Ceremony at Microsoft Theater on Feb. 10, 2019. Shorter won Best Jazz Instrumental Album for Emanon, a critically acclaimed triple album featuring his quartet and the Orpheus Chamber Orchestra. Salvant took home her third consecutive Best Jazz Vocal Album win for The Window, a duo album with pianist Sullivan Fortner. And Cuban drummer-composer Dafnis Prieto won Best Latin Jazz Album for Back to the Sunset, his first album to feature a big band. Daversa, a seasoned trumpeter who chairs the studio music and jazz program at the University of Miami’s Frost School of Music, won three Grammys for American Dreamers: Voices Of Hope, Music Of Freedom. In addition to Best Large Jazz Ensemble Album, Daversa received awards for Best Improvised Jazz Solo and Best Arrangement, Instrumental or A Cappella. During his acceptance speeches, he underscored the album’s pointed focus on immigration, with featured contributions from young DACA musicians, several of whom he brought onstage. As usual, jazz and blues artists cropped up in assorted other categories, even in the main event: Cuban trumpet virtuoso Arturo Sandoval was a prominent force on Camila Cabello’s “Havana,” which served as an energetic opening set piece for the Grammy ceremony. The Spanish Harlem Orchestra won Best Tropical Latin Album for Anniversary, commemorating their 15th year as a band. And the award for Best Children’s Album went to All the Sounds, by the swinging Brooklyn outfit Lucy Kalantari & The Jazz Cats, whose leader is a Latina songwriter with a degree from the Purchase Conservatory of Music. Winners in the Blues categories represented perspectives both old and new. Buddy Guy, who at 82 is a Mount Rushmore figure in the music, won his eighth Grammy for an album appropriately titled The Blues is Alive and Well. His win, in the Best Traditional Blues Album category, came with some awkwardness: presenter Kalani Pe'a spotted the album’s producer, Tom Hambridge, approaching the stage, and seemed to think he was Buddy Guy. In the category of Contemporary Blues Album, Fantastic Negrito prevailed with his album Please Don’t Be Dead. “I want to thank Bob Boilen, and the NPR Tiny Desk community, because I wouldn’t be here without them,” he said in a charmingly shaggy acceptance speech that also included a shout out to his lending institution, for ignoring a less-than-perfect credit rating. 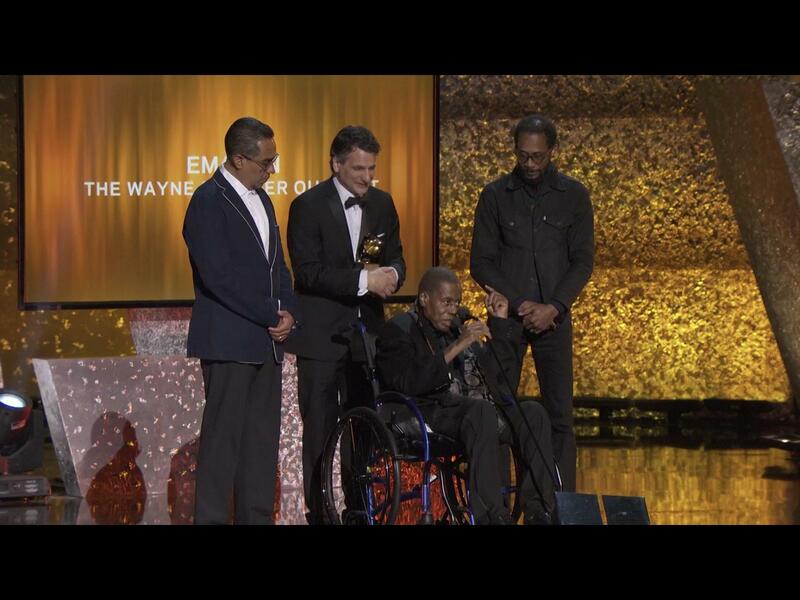 One of the more stirring moments in the Premiere Ceremony was the image of Shorter, 85 and in a wheelchair, as he accepted his award for Emanon. Flanked by the members of his quartet, he took in the cheers and applause with what seemed a mix of humility and satisfaction. “Thank you for taking the plunge with all of us up here, plunging into the unknown,” he began.